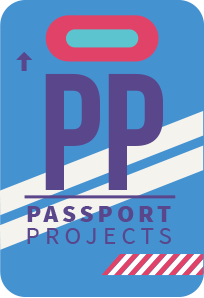 We started Passport Projects to develop beautiful, innovative, socially worthwhile software projects. Passport Projects is an employee owned, self-funded company. An experienced mobile software developer who created successful apps with over 10 million downloads. A digital designer and producer with many years experience in educational software. A brilliant character designer, animator and ceramic artist. Our fabulous graphic designer and branding expert. Actively developing an innovative e-learning app. We’re always looking for talented, self-motivated people to collaborate with. We encourage our team to follow their dreams outside of work as well as within it. We’re interested in meeting educators with a background in e-learning and languages, game and UI designers with a eye for engagement and fun and iOS and Android developers with a background in React Native Redux or Linux back-end servers. We tend to work remotely, but when we do meet up it is in London and Barcelona.